In this post, we took a look at 5 of the best-selling 144hz monitors. What is a 144HZ Monitor? When we talk about Hz when it comes to monitors we mean the refresh rate, which is how quickly the monitor can redraw images on the screen so a 144Hz means the monitor refreshes the screen 144 times per second (Source). Higher refresh rates are ideal for gaming and TV viewing when fast action is involved by maintaining a crisper, more detailed image during fast motion (Source). 4. Pixio PX325c Monitor: Quite Impressed! Most computer monitors today are Liquid Crystal Display (LCD) panels, which offer thinner designs and energy efficiency over their CRT counterparts. LCD monitors are made from two pieces of polarized glass. A backlight shines through the glass and electric currents stimulate the liquid crystals to allow light of different levels to pass through, which in turn creates the images you see. Buyers of 144Hz monitors are generally from the gaming community since it’s they who benefit most from this technology right now. Most buyers agree that buying the biggest monitor you can afford is good advice, but warn that as monitors grow in size, so should they increase in pixel density. A big monitor with low pixel density is going to look bad no matter what the refresh rate (Source). The Acer GN246HL is a 24-inch 3D gaming display that features a slim design with minimal bezels. Like all the monitors we looked at, this monitor is full HD. Buyers noted that this monitor doesn’t house any speakers, but most gamers are fine with this preferring to use either a headset or more substantial external speakers. 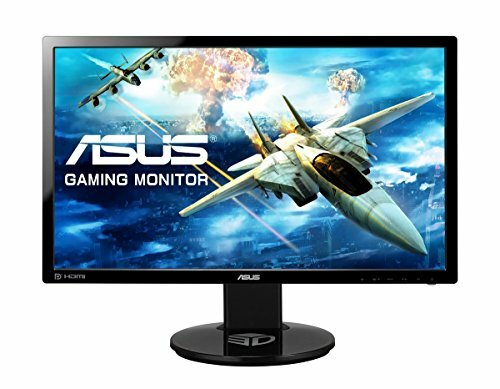 The Asus VG248QE 24 inch full HD gaming monitor is rated as a decent gaming monitor for the price and has the option to use in portrait mode, which can be useful for artists and designers. 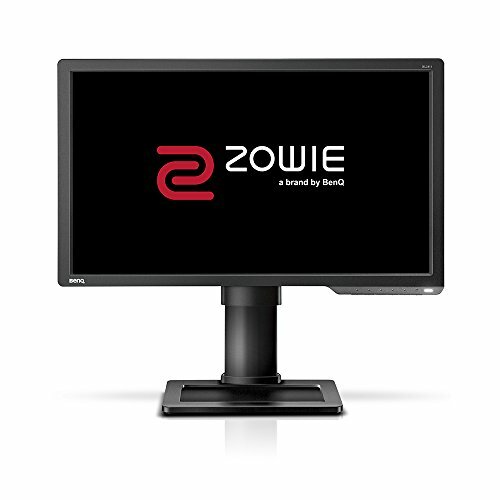 The BenQ ZOWIE XL2411 Professional Gaming Monitor is another 24 inch monitor that delivers smooth gaming performance. It features their software called Black eQualizer for clarity during dark scenes. Some buyers were turned off by the larger bezels, and noted that — while more expensive than some of the others — it’s worth the price. Lastly, we looked at the AOC G2460PF Professional Gaming Monitor. What sets this apart is the LED backlight, which is bright, although some buyers complained it was too bright. Another standout feature of this monitor are the multiple connection options. Also worth noting is the lack of In Plane Switching, which can cut down viewing angles. Still, a good monitor for the price. If you are looking for a 144hz monitor, you might want to consider the Acer GN246HL 24-inch model. Users love the display characteristics of this monitor, but some do complain of the glare and light boost issues. This super-slim LED monitor with an X-shaped stand features 1920 x 1080 resolution and, it is said, delivers excellent detail, making it perfect for advanced 1080p Full HD gaming, multimedia and productivity applications. The manufacturer boasts that the rapid 1ms response time brings immersive graphics to your movies and games. It is available in two sizes: 24’’ (GN246HL) and 27’’ (GN276HL). This item might be a good choice if you want a 144hz monitor which will deliver high-quality moving images without deviations in transition time. In general, buyers have a very favorable opinion of the Acer monitor GN246HL. They agree that it is super dependable and durable. Users appreciate that it is flicker-free, as well as that it has sharp picture and bright colors. Most of the online reviewers state that it is great for gaming on a budget. 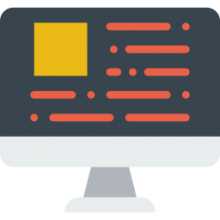 However, some purchasers do complain that the light boost darkens the screen.Other frequent complaints regard a glare when your eye level is around the middle of the monitor, as well as the height which is not adjustable. If you’re looking for a top-rated 144hz monitor, you might want to consider the Asus VG248QE 24″ monitor. Users like the vivid colors, but some do complain of difficulties with calibration. This product is a full HD LED monitor with ergonomically-designed stand and height adjustment. Thanks to its quick 1ms response time it is said to deliver the best performance for fluid gaming and movie playback. As the manufacturer states, the monitor features 80,000,000:1 contrast ratio which delivers the darkest blacks and brightest whites for true-to-life images. There are 2 sizes available: 24’’ (VG248QE) and 27’’ (VG278Q). This item could be a good choice if you’re looking for a monitor that features ultra-smooth action with 1ms (GTG) response time. In general, users state that the Asus monitor VG248QEmeets their expectations. They agree that it is great for gaming, as well as that it has vivid, bright colors. Users like that it is easy to move up and down, and that it can be positioned in portrait layout. In addition, they appreciate that the stand is adjustable and sturdy. However, some do complain that it can be hard to calibrate color, brightness and contrast for various games. Many buyers are not really fond of the built-in speakers. The BenQ ZOWIE XL2411 is a good option for PC competitors who are looking for a premiere e-sports monitor. Users love the image quality of this monitor, but some complain about the factory color settings. This product is a XL-series full HD monitor with ergonomic features (a specially-designed frame which minimizes visual distractions, height adjustment, low blue light and Flicker-Free technology for reduced eye strain). According to the manufacturer, it features eQualizer for visual clarity in dark scenes, and it is optimized for PC eSports game titles like Counter-Strike: Global Offensive and Over watch. This item might be a good choice if you want a 144hz monitor that is adopted worldwide by most professional eSports tournaments and players. The general user consensus concerning the BenQ XL2411 monitor is that it has very good image quality and bright colors. Many buyers appreciate its stable stand and sleek design. However, many buyers state that, out of the box, the color settings are very off. Other complaints concern the wide bezel and lack of built-in speakers. The Pixio PX245c could be a good option if you want a 144hz refresh rate monitor with Flicker-Free technology that reduces eye strain while playing games or working for an extensive period of time. Users like the crisp picture of this monitor, but there are complaints regarding the stand. This product is a 24’’ full HD monitor with 1920×1080 resolution, 178˚ viewing angle and anti-glare screen. It features the built-in Adaptive Free-sync technology which is said to provide no tearing, input lag, and image blur. It is available in 3 sizes: 24’’ (PX245c), 32’’ (PX325c) and 34’’ (PX347c). This product might be a good choice for those who want liquid smooth and blur-free images. In general, users have a good opinion of the Pixio PX245c monitor and they conclude that the picture is very clear and crisp. Many buyers appreciate its smoothness and agree that the price is excellent for the quality. However, there are complaints regarding the small and low stand. One user complains that the screen cannot be adjusted to tilt down at all –it constantly points slightly upward. 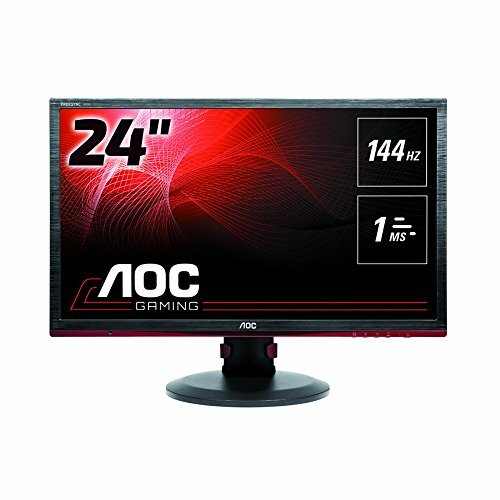 The AOC 144hz monitor G2460PF is a solid option for someone who wants to enjoy fast-moving action and dramatic transitions without the annoying effects of ghosting. Users like the color and response of this monitor, but some complain about the poor speakers. This product is a 24″ LED with a 144hz response rate that gives ultra-smooth, brilliant images. The manufacturer boasts that its professional display features 1ms response time and AMD FreeSync that eliminate stuttering and tearing. This item seems like a solid choice for gamers who are looking for a widescreen that features quick graphics rendering. The general user consensus concerning the AOC monitor G2460PF is that the color and response is amazing. They agree that it runs smoothly and that the picture is crystal clear. However, some buyers complain about low volume output. Others complain of bad preset configurations, as well as of the bezel which is not super slim. 144Hz is a higher refresh rate. It means buying either a 120Hz computer monitor or 144Hz. These displays are able to handle about 120 frames per second and as a result you can have a much smoother gameplay. Many users pair them with a gaming mouse for optimized video-gaming performance. In terms of smoothness and feel, there is a great difference between 60Hz, 120 or 144Hz. Most of computer gamers realize this. There is a problem common to most people: they get a 120Hz/144Hz monitor, then run a video card which cannot run high fps in the games these people play to match the rate of Hz rate, and as a result they do not see the benefit of the 120/144Hz monitor. In case you are a 1080p gamer who plays the latest games, you need to get a very good video card or sli setup which will enable you to average at 110-150 fps in your games. Otherwise there is no use buying the monitor. There are only two cable formats that support 144Hz: DisplayPort and Dual-link DVI. HDMI 1.4 and single-link DVI are unable to run 1080p 144Hz. At 1080p, DVI supports about 165Hz, but 1440p 144Hz is required for a Displayport connection. Most of 144Hz monitors have either an HDMI or a VGA port, but there are only for compatibility with particular devices, and instead of 144Hz they will run at 60Hz. In addition, 144Hz eliminates screen tearing, which means that there is no more a need for V-sync. Motion blur is further reduced by Lightboost which strobes the monitor backlight instead of lighting the monitor in a scanning motion. This provides a CRT-like clarity to moving objects with the help of color fidelity and brightness. Typically 120/144Hz monitors support 3D as they interpolate each eye either at 60 or 72Hz respectively.